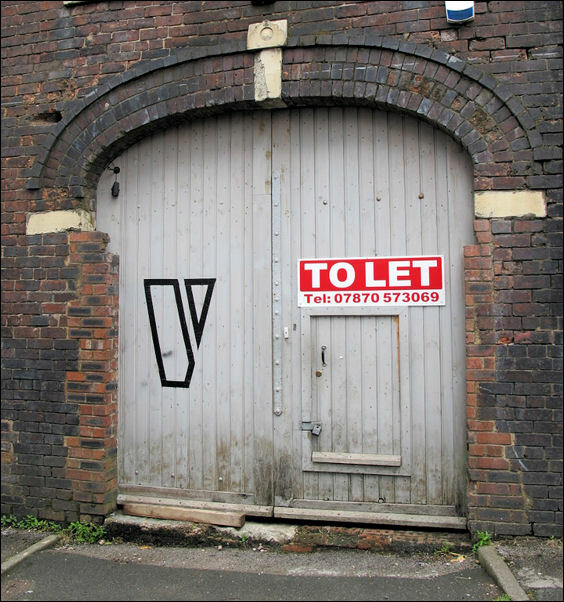 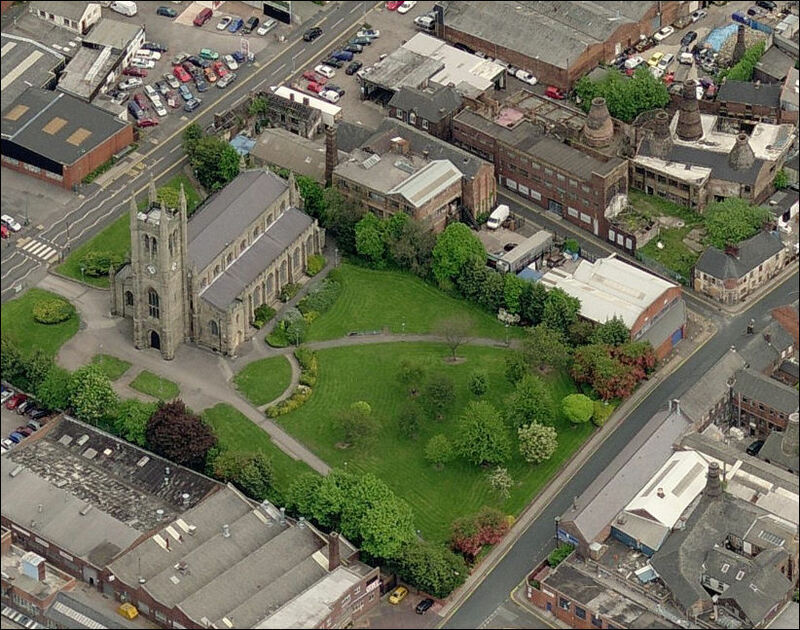 The works closest to the church (sitting alongside the churchyard) were the Stanley Works of Plant Brothers in Bagnall Street. 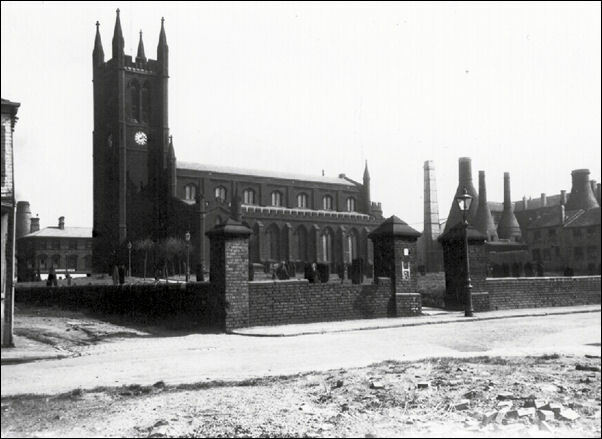 (in the mid 1950's renamed Chelson Street). 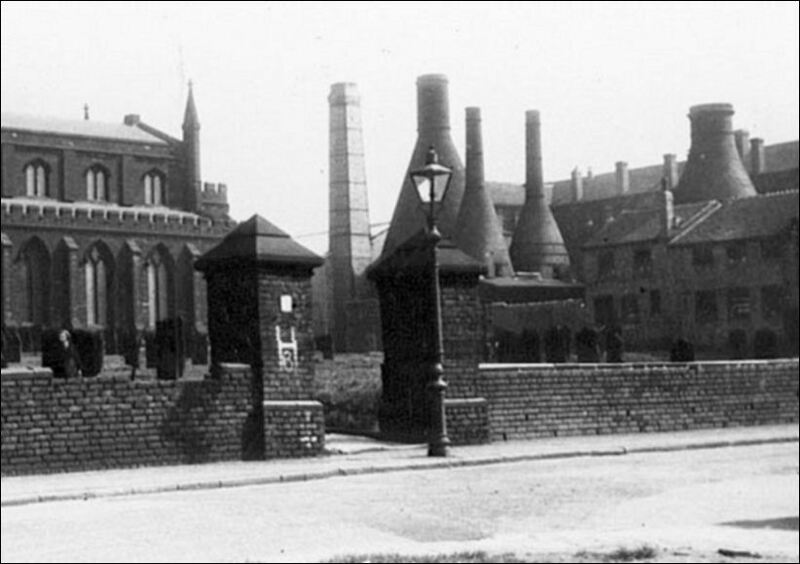 Plant Brothers operated the Crown Pottery in Burslem from c.1889-98 and then moved to the Stanley Works. 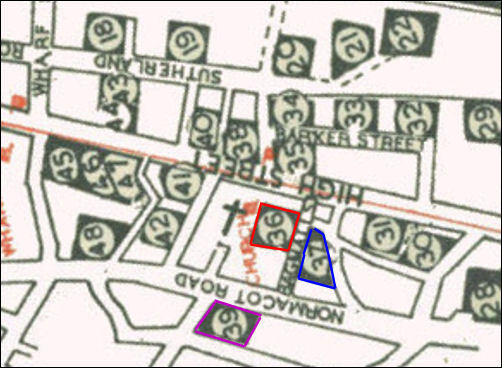 Around 1906/7 Plant Brothers combined with R.H. & S.L. 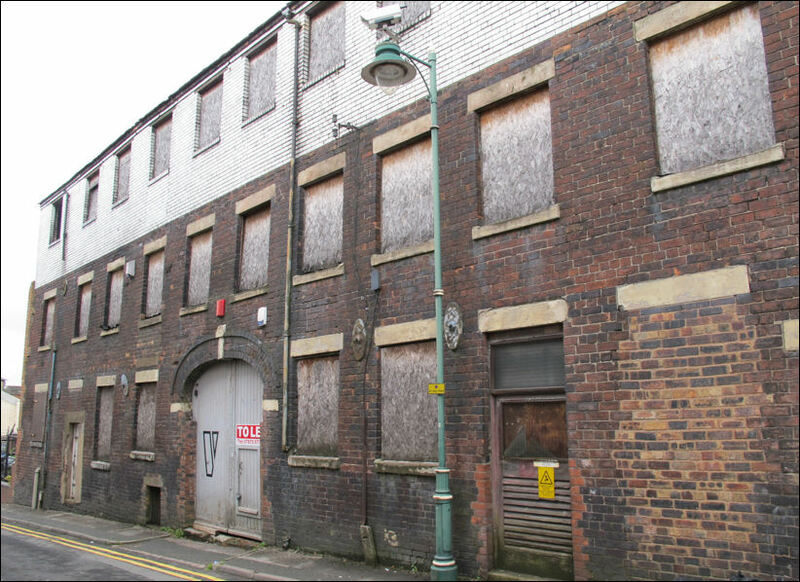 Plant at the Tuscan Works, Longton. 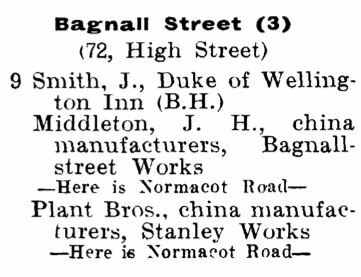 In c.1912 the works in Bagnall Street were operated by the New Chelsea Porcelain Co. 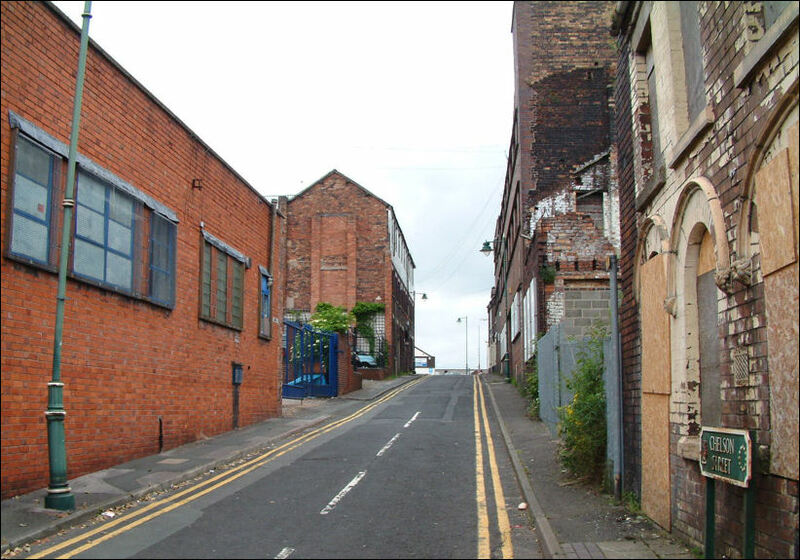 In 1951 the company was renamed the New Chelsea China Co. Ltd. and they operated until 1961. 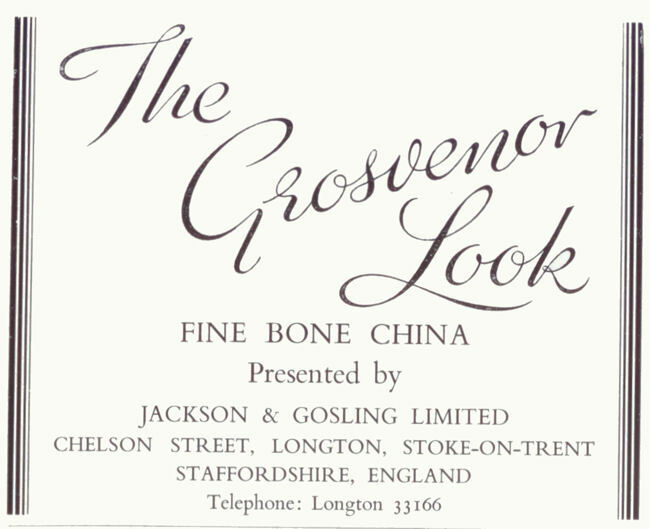 In 1957 the New Chelsea China Co. Ltd acquired the business of Jackson & Gosling Ltd.
By 1960 the Jackson & Gosling business moved to the New Chelsea China Companies' Chelson Street works. 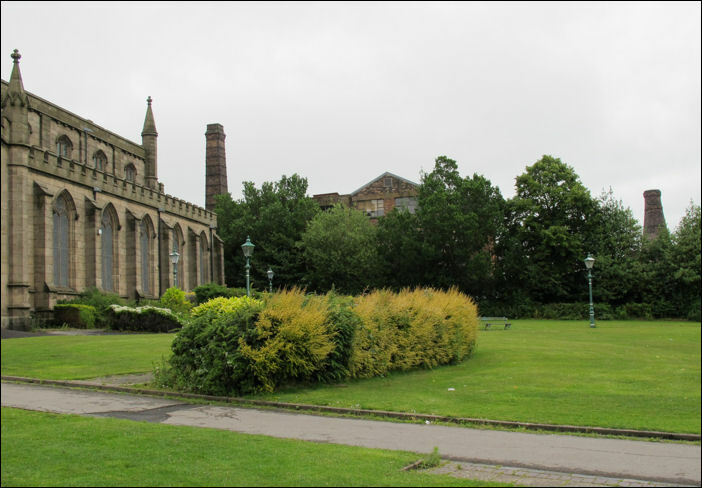 From 1961 to 1969 the works were operated as Grosvenor China Ltd.